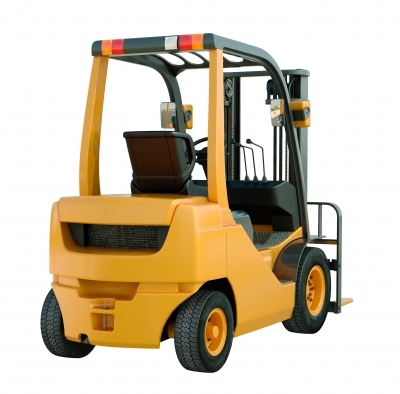 Forklift safety is something many companies take for granted. But it’s hard to overstate the significance of proper forklift operation, as a recent news story underscores. On November 11, 2013, an Indianapolis recycling plant worker was killed after he was pinned between a forklift and a guard rail. According to reports, the 30-year-old worker parked a forklift and didn’t shut the engine off. When he attempted to remove a screen from an electronics shredding machine, the forklift suddenly moved and pinned the man against a guardrail. Attempts to save his life were unsuccessful. The man was taken to a hospital but later died from his injuries. Here is a classic case of on-the-job carelessness that ultimately cost someone their life. Reports are unclear if the man was up-to-date on the latest forklift safety protocols. Whatever the case, there are at least two ways this accident could have been avoided. Parking location – If the man had stopped his forklift elsewhere and given himself more room to remove the screen, even a sudden movement wouldn’t have proved fatal. Parking safety procedures – Whenever a worker stops a forklift and leaves the seat, the forklift should be turned off with the emergency brake applied. Keep in mind, this accident might have been even worse. The worker could have requested assistance from other workers to remove the screen, possibly resulting in further injuries and / or fatalities. As it was, the accident was a tragedy that will impact many people – the victim’s family, co-workers and many others. Forklift training – both initial courses and renewal classes – is a great way to ensure your team is OSHA compliant with the latest forklift safety policies and procedures. CertifyMe offers quality, convenient, comprehensive forklift training for any company, on any budget. If you’d like to see how CertifyMe can enhance your workplace’s overall safety, check out our Forklift Training and Certification overview or our Courses and Pricing page.